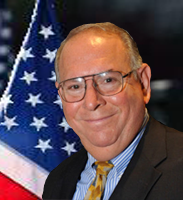 Executive Vice-President, Alan Z. Goodman, has been a friend of the Police Reserve Association for over 30 years and has been a vital member and Director on its Board since retiring from the NYPD 19 years ago. Since retiring he was the startup director of the New York State Holocaust Claims Processing Office and has created Goodman Professional Development, Inc., a consulting company that provides instructional design and training presentations to a variety of organizations. In his 27-year career in the NYPD he rose from Police Officer to Deputy Inspector and worked in many commands including several stints in the Department’s Training Bureau. His undergraduate and graduate degrees helped him bring particularly useful insights into training programs he created and into the way the Police Reserve implements its mission. His specialty in consulting and training is seminars in ethical decision-making. His certification as a Master Trainer for the Institute for Global Ethics allowed him to help a wide variety of personnel and organizations tackle the difficult ethical dilemmas that people face every day. Alan's academic background includes a BA degree in Sociology from Queens College (City University of New York), a Master's degree in Criminal Justice from John Jay College of Criminal Justice, and a Master's degree in Instructional Systems Design and Training from the New York Institute of Technology.